For more information plus interactive versions of the forms depicted within this book – and to purchase additional copies – visit http://www.melmetts.com. 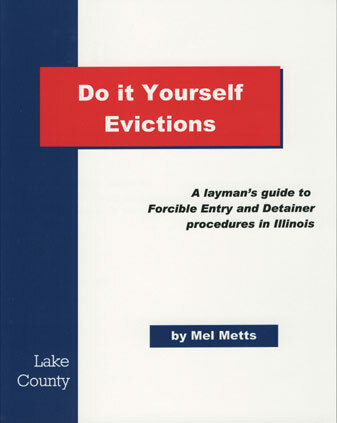 Mel Metts has been in the landlording business since 1985. He is active in the Lake County, Illinois, real estate community, and serves on the board of the Lake County Apartment Owners Association. First let me express my appreciation to all the members of the Wednesday night twice-around networking group. Their willingness to share landlording experiences contributed a great deal to the depth of knowledge I have accumulated over the past ten years. And, my sincere thanks to my wife, Linda, who always told me, "You should write a book," and generously declared the result of this, my first effort, to be "riveting."